Moisture in your home or business is a problem as soon as it occurs. It may develop suddenly, or gradually, but as soon as you become aware of excessive moisture building up in any area of the home, it is vital that you have it mitigated before it destroys the structure of the building and becomes costly to repair. You may need a moisture control appointment for crawl space moisture, basement moisture, or attic moisture. Wherever it is occurring, AdvantaClean of Ellis County and Waco is trained to determine the source and mitigate the problem. Moisture issues are especially damaging to buildings when they cause mold to grow. Mold needs moisture to grow and doesn't need sunlight to live. This makes it a prevalent problem in dark and damp areas. WHAT DOES CRAWLSPACE MOISTURE LOOK LIKE? A musty odor is wafting upward into the home. Crawlspace moisture can be caused by leaking HVAC systems or ducts, rain water entering the crawlspace during a storm, or even animal urination. Crawlspace moisture is especially common if there is an exposed dirt floor. All of these moisture issues can quickly lead to damages inside your Waco home and mold growth. 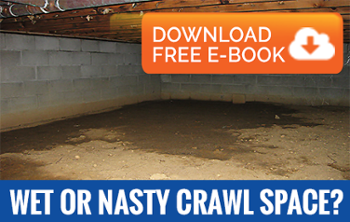 Resolve the problem swiftly, and save yourself the headache of crawlspace moisture. ARE YOU CONCERNED ABOUT BASEMENT MOISTURE? Basement moisture can be difficult to deal with, as most basements are unfinished and below ground level. The first step is always finding the cause of the basement moisture; fortunately, our technicians are skilled at diagnosing the source. Attic moisture often goes unnoticed, as they are out of the way and mostly unthought of. Typically used as storage areas, attics are rarely given the proper cleaning and maintenance they need to stay healthy. If it's been a while since you've inspected the attic, it may be worth your while to take a peek. Attic moisture is very serious and often leads to mold growth. Attics are more than just convenient storage spaces. Many attics also house portions of your HVAC system and the majority of your home's insulation. If you’re concerned about moisture issues in your Waco attic, call AdvantaClean (972) 776-2768 today to schedule a moisture control appointment . We will keep you informed of our findings every step of the way, and offer the best solutions to your problem, including mold remediation if needed.